One Door Closes, Another One Opens by Chris Betcher is licensed under a Creative Commons Attribution-ShareAlike 4.0 International License. Wow! Congrats on the change. Thanks Corrie. It’ll be weird not rocking up to a school every day, but the autonomy will be nice. It might take me a while to get used to idea of not having a bell ring every every 55 minutes! Best wishes for your new endeavours Chris – I know you won’t need them though, as you are brilliant and inspiring in whatever you do!! I look forward to reading about your new ventures and hope I get to work with you some time. However, understand what you are part of..
you are the ‘sheep’s clothing’, bringing respectability to an off shore company which will structure account stop pay no tax. It will advocate using in the cloud technologies which do not adhere to Australian law and also pay no tax to ATO. Many of the ‘next generation standards’ often referred to are relevant only to California not to Australian curriculum, or in my case Victorian curriculum which has different structure and emphasis again. Again, i wish you well in your personal endeavours, however the politics is ever present. Gary, thanks for the well wishes. However, I can’t let your other points go unchallenged. While EdTechTeam did start in the US, the Australian subsidiary is run and managed right here in Australia, in fact in Melbourne. Not to be overly parochial about it, but I think we will be able to do a pretty good job of localising our work here… part of the reason for bringing me on board is to help make sure that happens. We are building a great local team to support the work we do with Australian educators, right here in Australia. For what it’s worth, EdTechTeam is a Benefits Corporation in California, which means we are not driven entirely by the need to generate profit or keep shareholders happy. As a Benefits Corporation we are able to make company wide decisions about our mission based on what we believe to be sound, ethical, sustainable choices, and not just what makes the most money. Personally, I think that’s a pretty big deal, and certainly something that influenced my decision to work with them. Like I mentioned in the post, I’ve been doing work with the team for a couple of years now and I feel very comfortable about their approach to what they do. So thanks again for your well wishes, and I do hope we get a chance to discuss some of these other points in person some time. Awesome mate. Fits like a glove. Look forward to working ( me learning ) off you again. Thanks so much! And me too! 🙂 See you around I’m sure! Brilliant and well deserved! Good luck! Will be hitting the shores of Oz again around June. So if you need one of those “the most talented teachers in the world, who are all doing amazing things with technology in the classroom, and then ask them to go change the world.” Let me know!! Merry Christmas! I will definitely keep that in mind Jane! I’ll hold you to it! Thanks for the well wishes. Thanks Dorothy. I suspect it will! We have at least three Summits in NZ next year, but I’d love to get over for some other custom PD work as well. Love visiting NZ! Congratulations Chris and Best Wishes in your new endeavour. Congratulations, Chris. I think your new job is a perfect fit for you and I like the fact that you are working for folks who “have the runs on the board” as far as edtech goes and are not just pop-up gurus (who I’m seeing more and more on social media tooting their own horn). I looked through the team on the site and while I don’t know all the names, there are people who I respect immensely for their work over an extended period of time – Chris Craft, David Jakes, Mark Wagner, Lisa Thumann are all educators who know their stuff and like yourself can point to a wide background of educational settings and experiences. Well done and I am sure that your travels will visit Adelaide over time. Thanks Graham, I appreciate you saying that. And ye, having the chance to work with people like you mentioned – Crafty, Mark, David, Lisa, all so many other incredible educators with great vision for what education can be. I’m pretty excited about where this is going. And yes, I agree with you about the “pop-ups”. I think there are some people who look at edtech events like conferences and summits. etc, and assume they can run one and make a quick buck from them. And maybe they can in the short term. But in the longer term, I think unless you are doing this stuff with an actual mission and passion for trying to change education for the better, then any success will be short lived. I believe we are doing what we do for the right reasons. Hope to see you around some time soon. I can understand your feelings about missing the classroom and kids. I also know you will be a great fit with the EdTechTeam as they are doing great work with schools and teachers. I can say that as I attended a Google Trainer boot camp done by the great Michael Wacker. I have also presented at their conferences so I get how they are attempting to also change PD. As I think about how far we have come since 1999 when I started my adventure, my mind is blown with respect to the tools, technology and pedagogical changes. I like how EdTechTeam donates funds to help those learners who do not have access to these tools since we all know not everyone is a connected learner. Perhaps the tax laws need fixing just like the school funding laws need to reflect where we are as countries. I still like the old saying: “It will be a great day when the Air Force needs to hold a bake sale to raise the funds needed to buy weapons with schools having all the funds they need to teach. Good luck as I await the ripples of change from down under to hit the shores of the US which will release more energy into change here. The world is so small now as I have learned from you over the years via the podcast and your blog. Keep up the work and outreach you have been doing as I have found it very valuable. Hi Karl. Yes, bring on 2016, indeed! Thanks for you comment and your supportive words. Much appreciated. Like I said before, I really think EdTechTeam has its priorities right and is doing what it does for the right reasons. I wouldn’t be interested in working with them if I thought that wasn’t the case. Fabulous news Chris. EdTechTeam is such an amazing resource and you expertise and experience can only add to it. I will look forward to your contributions and perhaps catch you in the next webinar. Hi. I stumbled across this post while researching technology in education blogs and I found the discussion on EdTechTeam very interesting. I teach at a high school in Los Angeles, California and I have not heard of them. They were started in California, correct? From the previous comments on the post it’s not clear to me if EdTech Team is a for-profit company or a non-profit? Or is it something in between? I am looking for groups to recommend to my principal for our faculty professional development days that can help our staff learn more about good educational technology tools and how to use them. Unfortunately, paying for-profit companies is not something she really wants to do. Would EdTech Team do a quick presentation at a high school for free, or at minimal cost? They would be able to ask faculty to pay to attend further workshops, etc. Some of us would do it, since we receive “salary points” for attending, or we have the option also of getting it paid for by the principal. Is this something that might be possible? And how can I contact someone in or near Los Angeles? Thanks! Because we are not beholden to simply operating for profit, we can make operational decisions based on our mission to improve the world’s education systems, and not just a sole focus on the bottom line. We also give away a significant amount of money back to the community each year in the form of grants and scholarships. 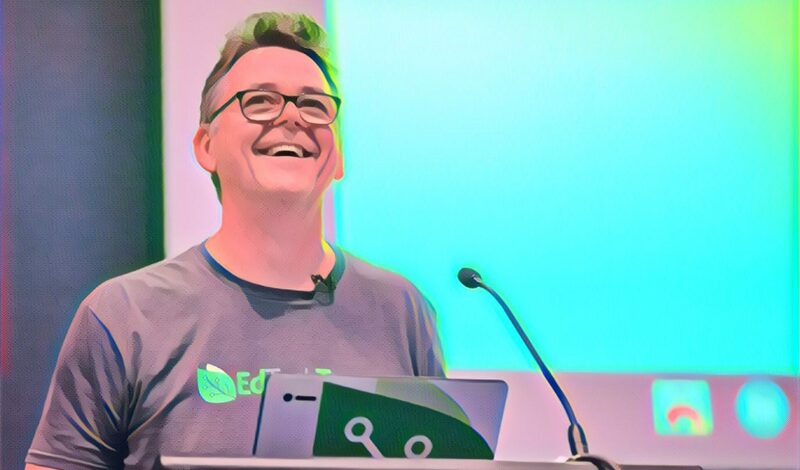 You can read a little more about that idea in this post, and also in this post from Mark Wagner, who originally started EdtechTeam. As for your request about PD, why don’t you get in touch with the team in LA and have a chat with them and see what they can do for you? Previous PostPrevious Should I Trust The Cloud?